Some so-called “Star Trek” fans had complained of “white genocide” on the new Star Trek show. 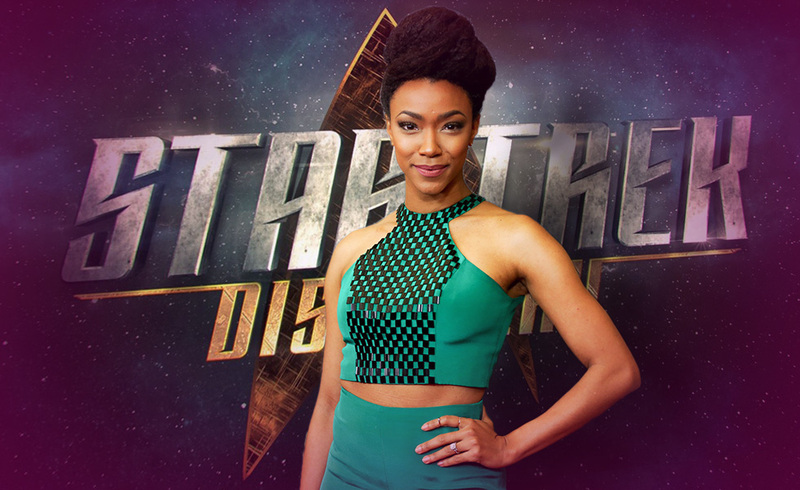 “Star Trek Discovery” actor Sonequa Martin-Green, the first black woman to be the lead in the franchise, proved racist trolls wrong on Thursday as she praised the universal appeal of “Star Trek” and pointed out its years long diversity. Yes!! Beam this girlfriend up to hero status! The New Yorker last month reported on the ugly backlash to the new “Star Trek” show’s trailer, featuring Martin-Green as the lieutenant commander and Michelle Yeoh as the Starfleet captain. Some commenters decried the lack of an alpha male in charge, the magazine wrote, calling it a fear of “white genocide.” But Martin-Green had the perfect advice for the bigots. “Star Trek Discovery” is a prequel series that takes place a decade before Capt. James T. Kirk and crew in the 1966’s original Star Trek series and features the ground-breaking franchise’s most diverse cast ever. The lavishly produced footage shows Martin-Green’s First Officer Michael Burnham getting a potential opportunity to command her first ship from her longtime captain Philippa Georgiou (Yeoh), then wrestling with a mortal threat from the Klingon Empire. Included are glimpses of a dark and sleek new starship bridge, the show’s royal blue Starfleet uniforms, a desert planet and the introduction of Doug Jones (Hellboy) as Lt. Saru, a Starfleet Science Officer and member of a new alien species in the Star Trek universe who can sense oncoming death. CBS also announced the first season has been expanded to 15 episodes from its original 13-hour order. “Star Trek Discovery,” will be available on CBS All Access beginning Sept 24th. “To Boldly Go Where No Man Has Gone Before” Is Totally Being Upheld, This Time By A Woman! Gene Roddenberry, the creator of the Star Trek phenom, would be proud! Not only is the new series pushing the envelope of sexist stereotypes but introducing new alien species. Roddenberry used the idea of traveling to deep space and encountering differences among us in this vast universe and accepting the concept. Maybe to teach us to accept that concept here in our small universe called the World? This card is of gaining one’s heart’s desire. I believe this series will be popular with the majority of “Trekkies” once they acclimate to the different look and feel of the old concept. After all, it is a “prequel” not a “sequel”. This card is of financial security and family support. To support my above statement, I feel this series will do well and become the financial success they are hoping for. The card says it all. I believe having two female leads had to be fought for and was won with hard earned good old Hollywood reasoning. At the moment, there is a tide of female driven movies and TV shows, so jump on the bandwagon while it’s hot!